Preset configuration of the white form above - search for an exotic car or a cabriolet at 'Kosice - Airport'. Address: Kosice Airport, Kosice, 04175, Slovakia. 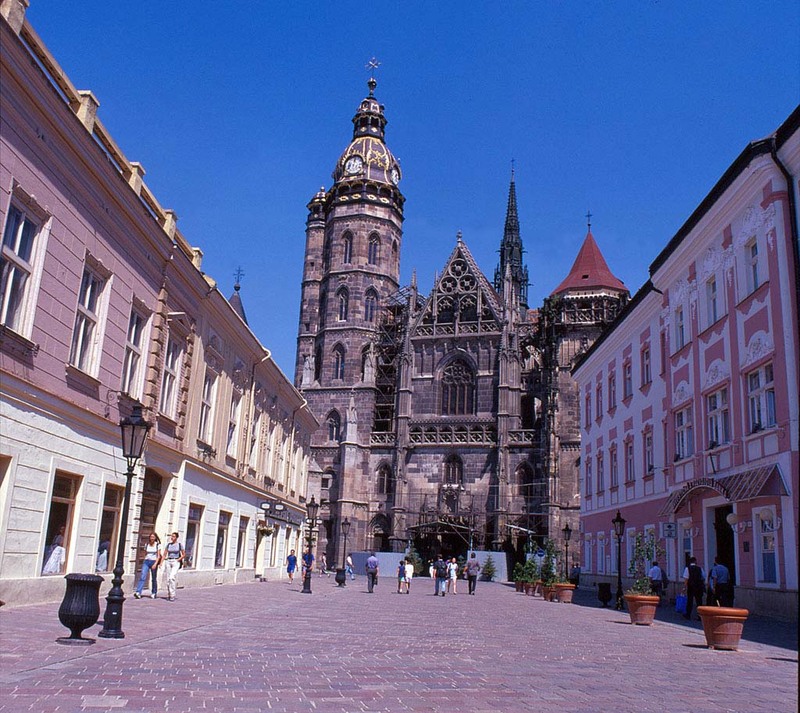 In Kosice, we provide vehicles at 3 different rental locations. Cars with a folding roof are rather of a rare type, so they are mostly offered in airports and railway stations. We advise booking a cabriolet in Slovakia in advance (several weeks or even several months prior to your trip), since the availability of convertibles in our car park is quite limited. The most widespread cabriolet models offered for rent in Slovakia are: BMW 3 series Cabriolet, Peugeot 206 Cabriolet, Renault Megane Cabriolet and Audi A3 Convertible. At the booking time, please check the rental conditions carefully. Quite often, rental offices in Kosice require two credit cards to guarantee issuance of a cabrio or a roadster. We recommend ordering additional no-excess insurance that covers your risk (franchise), since the franchise amount for cabriolets in Slovakia is quite high. Make sure to inspect the rental invoice issued at the office in Kosice and compare it with the information indicated in your voucher. Sometimes, rental officers make 'unintentional' mistakes in rental invoices. When parking a cabriolet in Kosice, it is recommended to unfold the roof and close windows in order to prevent theft or robbery. 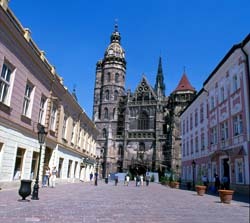 OrangeSmile.com wishes you an exciting journey with an open roof around Slovakia! If you park your car improperly, then most likely you will see wheel blockers on return. In this case, the fine for wrong parking will be around 65 euro. If your car has been taken away by a tow truck, the fine will be bigger – you will be forced to pay approximately 225 euro. In the territory of settlements, the maximum allowed speed is 50 km/h, and outside settlements the maximum permitted speed is 90 km/h. For motorways, the speed limit is 130 km/h. Drivers are always notified about the speed limit on a particular road. On the highway, it is not allowed to move slower than 80 km/h. There is also the minimum allowed speed for country roads (65 km/h). Only a serious breakdown can be the reason for speed reduction. There are fashionable restaurants, pizzerias as well as modest and cozy pubs in Kosice; any gourmet would be able to find a place to have dinner. One of the most prestigious places of the city is the 12 Apostles restaurant serving Slovak cuisine. It will appeal to those who are used to relax in luxurious atmosphere and can’t imagine a meal without exotic dishes. The restaurant is very popular among locals and tourists; in evenings, an interesting entertainment program is held. The Venice restaurant is popular among thrifty travelers. In addition to the delicious pizza, they serve lots of popular Italian dishes. This restaurant is perfect for families; younger guests will appreciate the large selection of desserts and beverages. There is also a real Irish pub in Kosice, The Diesel pub. Fans of beer prefer to relax here, as the pub offers more than twenty popular sorts of this drink. In addition to the favorite beer, guests are offered a great variety of snacks and branded treats. Sweet tooth won’t be bored also, as in Kosice all kinds of confectionery, cooking and cafes are ubiquitous. The strudel is considered the most popular local sweet; it can be cooked with a variety of fruit fillings. Cafes and delicatessen shops would surprise visitors not only with a great selection of cakes and strudels, but also with reasonable prices. An interesting place is Golem restaurant that resembles a classic pub with its design. However, in addition to a large selection of drinks and snacks, you can make a decent selection of international dishes there.